It is the story everyone is talking about. 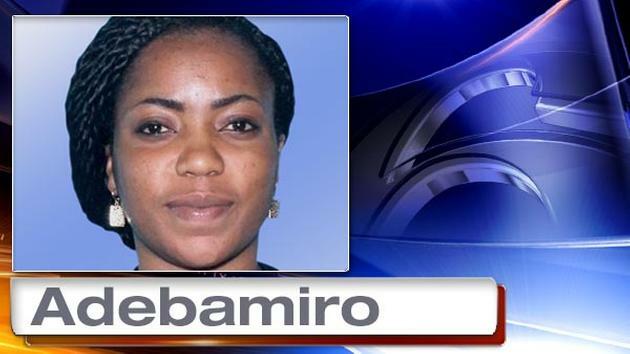 Temitope Adebamiro, a Nigerian mother of 2 based in Delaware brutally murdered her husband Adeyinka Adebamiro by stabbing him on Thursday 23rd April 2015. Court records in Delaware revealed that Temitope is claiming her husband cheated on her with multiple women including her sister and their nanny’s daughter. However, since the story broke, online commenters who claim to know the couple have revealed that there is more to the story. With many claiming that Temitope’s story contains several inaccurate claims. Esteban Parra of The News Journal reports; You can read the full story on the Delaware Online website HERE. The husband, 37-year-old Adeyinka Adebamiro, was found stabbed in a first-floor spare bedroom of the couple’s home in the 1300 block of Healy Court early Thursday, according to court documents obtained by The News Journal. New Castle County police were called to the home at about 12:40 a.m. for an unknown problem. Arriving officers found Adeyinka Adebamiro unconscious with a stab wound to the upper body. New Castle County paramedics pronounced him dead at 1:37 a.m., said Officer Tracey Duffy, a county police spokeswoman. The two had been married for more than 10 years. The accused is has alleged that her husband physically abused her, even while pregnant with their two children. She also told investigators her husband had been cheating on her with various women, including her own sister and the nanny’s daughter, papers said. The papers, however, did not say how old the nanny’s daughter was. Temitope is claiming her husband sent her on multiple long trips to Nigeria in order to continue his affairs. In one instance, she claims that after returning in December, she had to stay in a hotel near the Philadelphia airport for four days because her husband refused to let her into their Red Lion home. He then paid for her to fly back to Nigeria for a few more months, according to documents. About this time, she learned that her husband had spent Christmas with the nanny’s daughter. According to the records of Temitope’s statement, at some point, she saw several texts and images in her husband’s phone, which she took pictures of using her cellphone. Some of the pictures included images of her sister and the nanny’s daughter. What Happened on the Night of the Murder? Police learned the couple had been talking and watching television on the couch about 9 p.m. Wednesday. Temitope and her husband began arguing after he discovered the photos she’d taken on her cellphone and he began erasing them, according to court papers. As she put it away, she noticed blood on the tip and that’s when she realized that he was stabbed, the papers said. Temitope suggested that her husband stabbed himself, according to the papers. The autopsy, according to the papers, said the homicide was a single stab wound just below the victim’s neck, about 2 inches off the center line. The stab was 4 inches deep and severed the victim’s carotid artery and jugular vein. When police told Temitope that this was not a suicide, the woman “began nodding her head in agreement,” according to court documents.